Looking for a beautiful nautical ornament? 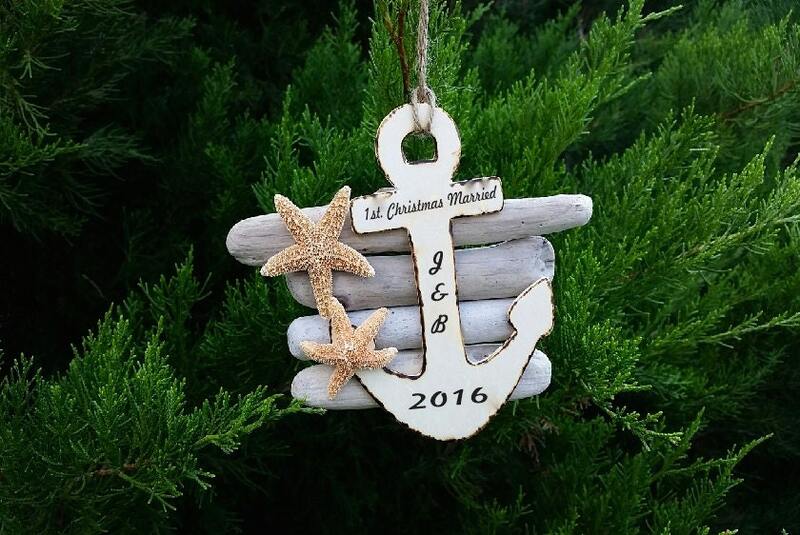 Our handmade drift wood, wood anchor and starfish ornaments are One Of A Kind! Let us custom engrave the heart as per your request. 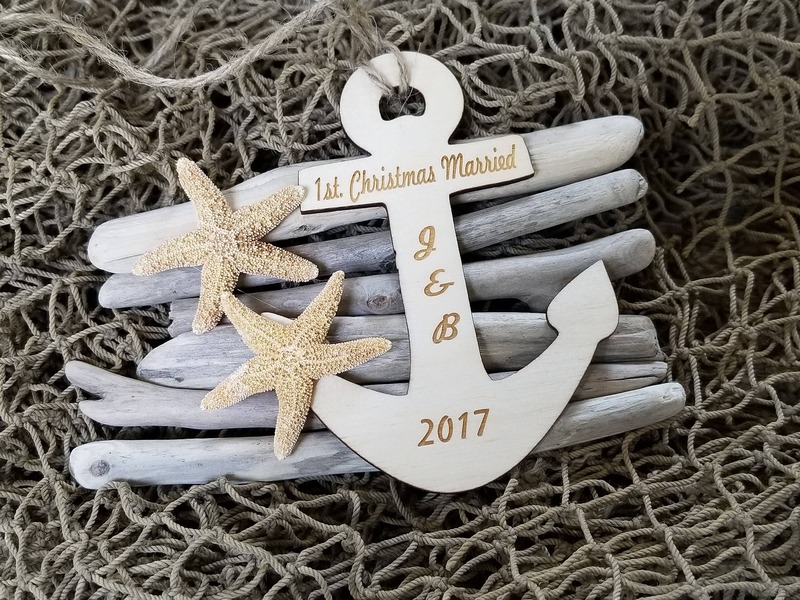 Size: each ornament measures between 4-7 inches long" anchor is 4.5 inch long x 3.5inch wide and starfishes are around 1 inch. Since each ornament is made by hand sizes will very slightly. QTY: 1 ornament. Gift Boxed. Lead time 3-5 business days. Need them sooner, please let us know.